The right accessories can make or break your PC setup. Upgrading from the cheap add-ins that came with your computer to proper peripherals not only helps your system work better, it helps your hands feel better. And if you haven’t upgraded yet, today’s the perfect day, as Amazon’s throwing a huge one-day blowout sale on all sorts of Logitech’s acclaimed peripherals. We’ll highlight a few of our favorite deals here. The stellar Logitech C922x is just $50 today, down from a list price of $100. We adore this webcam, full stop. The C922 earned 4.5 stars in our review for its excellent 1080p picture quality, strong performance in low-light conditions, and luxurious extras like background removal and superb live streaming options. If you need to upgrade your mouse, the wireless Logitech M560 is $14.24, down from a list price of $40. This mouse is designed to fit comfortably in your hand and quickly respond to your touch, with thumb buttons and a scroll wheel to help navigate. The popular high-precision Logitech MX Master wireless mouse, with an ergonomic design and the ability to swap between computers at the flick of a button, is also available on a steep sale at $60. It usually costs $100. Looking to upgrade your entire keyboard and mouse setup? The MK270 wireless keyboard and mouse combo costs just $15, down from a list price of $30. These full-size accessories connect with a 2.4GHz signal and run via AA and AAA batteries. 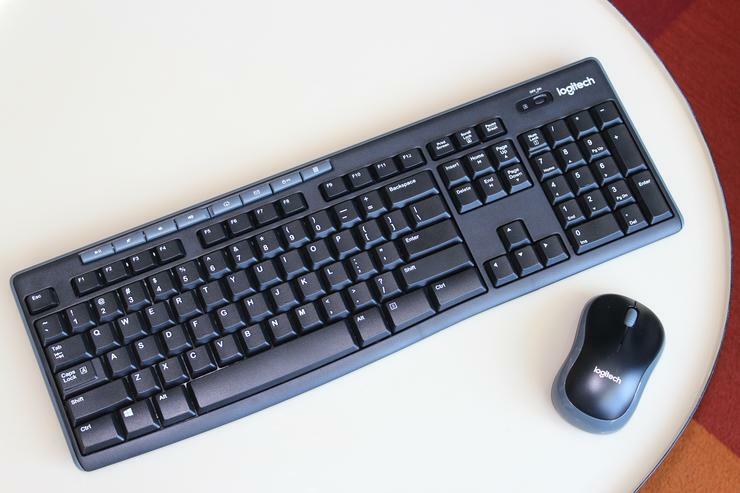 When we reviewed the Logitech MK270 combo, we said it’s “one of the better choices you could make in the rock-bottom budget range because of its decent keyboard action and easy setup.” It’s even more attractive at half off its usual price. This is just the tip of the iceberg though. You’ll find many more mice, keyboards, webcams, and even a basic $15 gamepadRemove non-product link available in Amazon’s huge one-day Logitech sale, so make sure to check it out.